Another week done and another week closer to Miami! Overall I had a good week of running. On Monday I had a brief encounter with the turkeys. On my way out they were lining both sides of the road so I literally ran in the middle of the road—with cars coming both directions. I didn’t care. I wasn’t taking any chances. On the way back, they were all on one side of the road so I sprinted past hoping they didn’t notice me. What was supposed to be an easy run turned into a sprint as I found myself going fast long after I passed them. Oops. You could also say I was rushing home to a hot shower, footed pajamas and the Bills playing on Monday Night Football! Don’t even get me started with how horrible and frustrating the game ended up being… AND I stayed up til the end! YOLO. I skipped Run Club on Tuesday because I honestly needed a day off after running 4 days straight. Wednesday was fun. 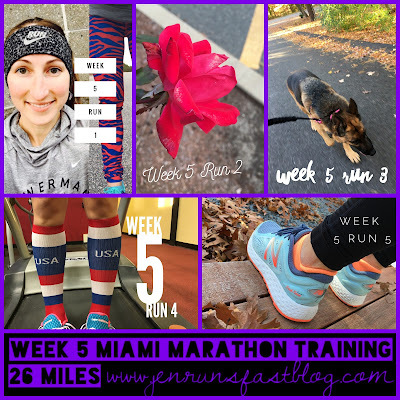 I got to get the legs moving with a 2 mile Fartlek then a short run with the pup on Thursday. On Friday I had to work. WOMP WOMP. I got out at 4 and didn’t really want to rush my run—the sun set at 4:25pm—so I ended up sucking it up and hitting the treadmill for the first time since January. It was just as bad as I remember it being. The came Saturday’s long run and it was awesome! Another perfect weather day. I ran 8 miles comfortable and 2 miles pushing the pace for a fast finish. Everything about it went right and it was another confidence booster run as I prepare for 12, 14 and 16 coming up in the next 3 weeks. · I signed up for the Jingle Jog! 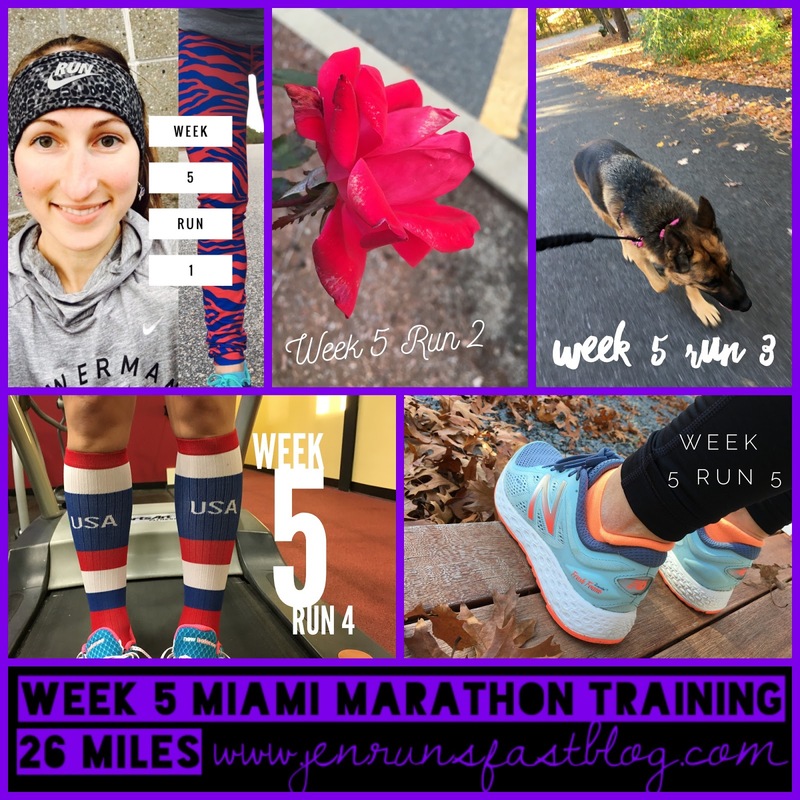 · 11 weeks until the Miami Marathon!